On the other hand, private contract parties are free to enter arbitration agreements in Thailand and every year hundreds of such proceedings take place and are seated in Thailand. Furthermore, what is often forgotten, Thailand is currently party to twenty- two free trade agreements and thirty-seven bilateral investment treaties which generally provide for arbitration as a, or the, dispute resolution mechanism between Thailand and its foreign investors. One of the most recent, and arguably one of the most important of such treaties is the ASEAN Comprehensive Investment Agreement (the “ASEAN Agreement”). The ASEAN Agreement is a multi-lateral treaty between the ten member States of the Association of South-East Asian Nations (“ASEAN”) which was agreed to in February 2009 (in Thailand as it happens) and which entered into force on 29 March 2012. The ASEAN Agreement is intended to assist the creation of “a free and open investment regime in ASEAN in order to achieve the end goal of economic integration [within ASEAN]”. Thus, the ASEAN Agreement’s central purpose is to encourage investors from ASEAN states to invest in other ASEAN states by giving them (with some exceptions and reservations) enforceable rights to protect their investments. We have previously provided an overview of the common rights and remedies that investment agreements provide to investors. The decades leading up to the end of the twentieth century saw a proliferation of investment agreements entered. Currently, there are over three thousand bilateral and multilateral investments agreements in force worldwide. And by in large the consensus is that this has fostered global prosperity and lifted hundreds of millions, if not billions, out of poverty. However, and perhaps ironically, one indicator of the success of these treaties was the dramatic increase in investor-State disputes and arbitrations to resolve them. Since investment has been most needed and most attractive in developing States, these States have most often been the States involved in such disputes and, inevitably, these States have lost some of these arbitrations. As a result, dissatisfaction with investment agreement rights and remedies regimen grew more vocal as the turn of the century approached. Developing States argued that the investment agreements had given too much protection to the investor at the cost of the interests of the States’ citizens. In response, in 2002 the United States drafted a new model investment treaty (and first used it in the 2005 United States-Uruguay bilateral investment treaty), which incorporated a number of provisions meant to address these concerns. For example, the traditional investment treaty model prohibits an investment State from expropriating an investment by enacting a law that devalues the investment. Such action can lead to monetary damages payable by the State bound to the traditional investment agreement model. Developing/investment target States complained that this impedes their ability to reasonably protect its citizens and environment without risk of monetary damages being payable to investors. Thus, the new model excludes any non-discriminatory measure by the investment State that is designed and applied to protect legitimate public welfare objectives, such as public health, safety and the environment, from the definition of “expropriation”. The ASEAN Agreement now incorporated this same rights provision and, as we will see below, several other of the new investment model provisions regarding the enforcement of an investor’s rights by arbitration. (f) if the disputing parties agree, to any other arbitration institution, provided that resort to any arbitration rules or forum under sub-paragraphs (a) to (f) excludes resort to any other. (c) the notice of arbitration must be accompanied by the investor’s written waiver of the investor’s right to initiate or continue any proceedings before the courts or administrative tribunals of the investment State, or other dispute settlement procedures, of any proceeding with respect to any measure alleged to constitute the breach. This does not, however, preclude the investor from seeking interim measures of protection from any relevant court or tribunal. (e) where the dispute relates to an alleged taxation measure, the investment State and the investor’s State, including representatives of their tax administrations, are required to hold consultations to determine whether the measure in question is, indeed, a taxation measure. This is of import because the ASEAN Agreement does not protect investors from taxation measures by a party State, except where such taxation affects the transfer of an investor’s funds or where it amounts to an “expropriation” (as defined by the ASEAN Agreement). Where the investor claims that the investor State’s adoption or enforcement of a taxation measure has resulted in the “expropriation” (as defined by the ASEAN Agreement) of the investor’s investment, the investment State and the investor’s State, upon request from the investment State, are required to hold consultations with a view to determining whether the taxation measure in question has an effect equivalent to such expropriation. (f) The ASEAN Agreement also allows an investment State to provide transparency regarding any arbitration proceeding to its citizens by allowing the parties to make publicly available all awards, and decisions produced by the tribunal. However, both the parties and the tribunal are required to keep any information submitted in the proceeding (that is specifically designated as confidential) protected from public disclosure. are all radical departures from the old investment agreement model. For example one will not find any of these measures under Thailand’s bilateral investment agreements with the United Kingdom (1978), China (1985), Sweden (2000), nor Germany (2002). These new model provisions are intended to provide a more equitable consideration of the investment State’s interests. (c) costs and attorney’s fees in accordance with the ASEAN Agreement and the applicable arbitration rules. (b) revision or annulment proceedings have been completed. (b) a court has dismissed or allowed an application to revise, set aside, or annul the award and there is no further appeal. were also unheard of in the old investment model agreements (including the ones that Thailand is a party to mentioned above) and are also intended to give due consideration to the investment State’s interests. Finally, the ASEAN Agreement also defines any claim that is submitted to arbitration under the ASEAN Agreement to be a “commercial” relationship or transaction for purposes of Article 1 of the New York Convention. This is important because some countries enforce arbitration agreements under the New York Convention only if they are “commercial” in nature. These countries have in the past presumed that awards issued pursuant to investment treaties did not arise from a commercial relationship and are, therefore, not commercial in nature. Thus, the ASEAN Agreement provides for the broadest possible enforcement breadth under the Convention. Only time will tell if the new model investment agreements prove more satisfactory. But given the economic and investment environment disparities between the ten ASEAN nations, choosing the new model as a basis for the Agreement was likely a wise decision. It is definitely something both cross- ASEAN investors and anyone advising cross-AESEAN investors should be aware of. This entry was posted in Uncategorized on October 17, 2016 by duensingkippen. 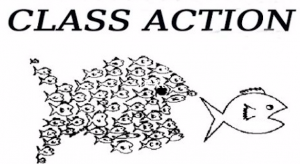 “Class actions” are coming to Thailand and they have the potential to significantly change civil litigation and corporate practices in Thailand. Class actions are litigation cases that combine the claims of several (often in the thousands or more) claimant parties against one or possibly a few defendants. They are lawsuits that would generally never be brought under normal rules of court procedure because the number of claimant parties is too numerous to manage in one case, or because each of the claims is too small to justify the expense of bringing any of them to court individually, or both. Class actions address both of these issues and allow for such claims to be brought together and managed in one case, thereby creating a large enough aggregate claim to cover the litigation expenses. Thus for example, some typical hypothetical class action cases might be: a bank or a telecom service provider overcharging each of its customers for an unjustified fee of Thai Baht 1,000; or a car manufacture or pharmaceutical company producing a defective product that causes harm to their end consumers. Successful prosecution of such class action claims provides justice to such claimants and incentive for responsible corporate behavior not otherwise currently available in Thailand. To initiate a Class Action, a Plaintiff must file their own case and also request the Court to allow their case to become a Class Action for the benefit of the other Class Members. The type of cases in which the Act allows a Plaintiff to request Court to allow a Class Action are quite broad and include any cases involving torts, breaches of contract, and “any other claims relating to other laws. . .” The Act provides some “examples” of such other laws and it appears that the intent is for Class Actions to be applicable to most, if not all, civil actions; in other words it appears that it will not be applicable to cases regarding family, intestate, criminal, or matters not traditionally considered strictly “civil cases”. The Plaintiff has sufficiently demonstrated that it is one of the Class Members and meets the qualifications of the Act; and that the Plaintiff and the Plaintiff’s lawyer will represent the Class effectively and fairly. The Act requires that all Class Members be notified of the Class Action both by mail and publication or other media means that the Court deems appropriate. Such notice is undoubtedly essential as it advises the Class Members that unless they formally “opt-out” of the Class Action, they will be bound by the final outcome of the case for better or worse. If they choose to remain in the Class it also tells them what rights they have to participate in the case. However, although the Act provides that the Court filing fee will be calculated based only on the Plaintiff’s claims, it also requires the Plaintiff to deposit funds to cover the Court related expenses associated with the Class Action. Thus, one area where this latter requirement may impede the pursuit of a Class Action is notice to the Class Members. If the Plaintiff is poorly funded, possibly even as result of the defendant’s conduct, and the number of Class Members is comparatively too numerous, the Plaintiff may not be able to advance sufficient funds to cover the cost of notice. In such event, the action will be dismissed without the claims, justified or not, being resolved. One element of the Act that may address the Plaintiff’s funding issues is its provision for payment of the Plaintiff’s lawyer. The Act provides that if the Plaintiff wins the case, the Court will determine the amount to be paid to the Plaintiff’s lawyer. This will be based on the Plaintiff’s lawyer’s submission of fees and expenses to the Court. Where the judgment is a monetary, the Court may award such fees and expenses to the lawyer but not exceeding an amount equal to 30% of the monetary judgment awarded to the Class. But the Court may not award any costs of the Class Action that the lawyer may have advanced on behalf of the Plaintiff, such as the Plaintiff’s deposit to cover Court expenses. It may be that well funded lawyers will venture to fund promising Class Action cases where the Plaintiff cannot. But only time will tell if Thai Court Class Action judgments and lawyer fees and expenses reimbursed thereby will justify such pre-financing by lawyers–particularly when the Plaintiff is unable to provide the funds to cover the Court’s expenses. It should also be noted that, where the Act has not provided otherwise, the usual CPC procedural provisions also apply to Class Actions. This includes the CPC’s rules on taking evidence. In Thailand the evidence that the Court evaluates is provided by each party separately to support its respective case. This is not necessarily the same elsewhere. In the United States, for instance, where the modern class action began several decades ago, parties to a lawsuit, including class actions, must provide all evidence relevant to the case or which may lead to relevant evidence even if such evidence is detrimental to the party providing the evidence. If a product or service provided was deficient, who would be more likely to posses evidence of such deficiency than the one who originally made such product or provided such service? Thus, it is easy to see where such a rule would and has resulted in many successful outcomes for plaintiffs in class action cases in the United States against harmful product and service providers. But the U.S. rule is not applicable in Thailand. Thus, it remains to be seen how effective Class Actions in Thailand will be where the defendant will generally only be required to produce evidence favorable to its case. Finally, one should also take heed that the Act contains several broad provisions that leave much to the Court’s discretion. However, the Act also gives the President of the Supreme Court of Thailand the authority to issue regulations under the Act. Thus, we would expect initial regulations detailing how the Act will be implemented to be issued prior to the Act’s effective date in December 2015. 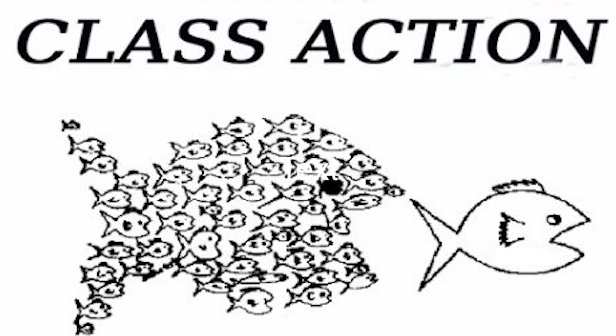 Although there are currently some questions as to how the Act will operate in practice and how effective it will be in addressing its intended purposes, overall this addition of the modern legal mechanism of Class Actions should be viewed as a positive contribution to litigation, corporate practices, and the public interest in Thailand. This entry was posted in Uncategorized on May 18, 2015 by duensingkippen. The Thai Arbitration Institute (TAI) — currently under the auspices of the Thai government’s judiciary — is the most commonly chosen institutional arbitration service provider by commercial parties to administer their contractual dispute arbitrations seated in Thailand. Unless the parties agree to deviate from the TAI Rules — and somewhat controversially — “with the consent of the Director of the Alternative Dispute Resolution Office“, the TAI Rules will apply to any arbitration proceeding under its administration. Part 2 of this article covers the Costs of the arbitration and the arbitrator’s Fee — and who pays them — in a TAI arbitration. 4.1 business day after 16.30 hrs. The parties must each pay an advance for costs and expenses to the TAI. The TAI will normally ask that the payment be made within 30 days from receipt of the payment notification from the TAI. The amount of advance payment may vary as it depends on the TAI’s discretion. The minimum amount is usually Thai Baht 15,000 each. Thai Baht 20,000 if the language of the proceedings is not Thai and either one or both parties reside outside Thailand (may be higher depending on the distance between the party’s residing country and Thailand). When the arbitral proceedings end, the TAI will summarize costs and expenses and notify the arbitral tribunal in order to incorporate such in the award. If there is any balance, it will be returned to the relevant parties. If, however, the advance sum is not sufficient to cover all costs and expenses, the parties will be required to pay the shortfalls. Although the arbitrator’s fee is set, the TAI may adjust the amount at its discretion. One of the reasons for an adjustment might be that the disputed amount in the statement of claim is considerably different than that in the counterclaim. The TAI may then have each party pay the arbitrator’s fee based on each party’s claim. The TAI may also increase a previously determined fee amount if the proceedings end up being more complicated or time consuming or both, than previously anticipated. Both the Arbitration Act of Thailand (the “Act”) and the TAI Rules provide that the arbitrator is to determine what part of the Costs and Fee the parties must pay. However, it should be noted, that it is not clear whether the Act or the TAI Rules include any expenses, which are not billed by the TAI, among the Costs. Further, both the Act and the TAI Rules explicitly exclude attorney’s fees from the Costs. Thus, if the parties wish to have such costs awarded, it is highly advisable for the parties to explicitly agree to this prior to the beginning of any arbitration under the TAI and to further seek explicit recognition of such agreement from the arbitrator once the arbitration has begun. This entry was posted in Uncategorized on October 30, 2014 by duensingkippen. The Thai Arbitration Institute (TAI) — currently under the auspices of the Thai government’s judiciary — is the most commonly chosen institutional arbitration service provider by commercial parties to administer their contractual dispute arbitrations seated in Thailand. Unless the parties agree to deviate from the TAI Rules — and somewhat controversially — “with the consent of the Director of the Alternative Dispute Resolution Office”, the TAI Rules will apply to any arbitration proceeding under its administration. In Part 1 of this article we summarize the procedure and timing of a TAI arbitration. (1) The first step is for the claimant to file a “statement of claim” against the “respondent” together with a payment of preliminary advance on costs to the TAI. (2) The TAI will then send the statement of claim to the respondent. (3) The respondent may then file a statement of defense (and a counterclaim, if any) to the TAI within fifteen days of receipt of the statement of claim. (4) The TAI will then send the statement of defense (and the counterclaim, if any) to the claimant. (5) The claimant may file a defense to the counterclaim to the TAI within fifteen days of receipt of the counterclaim. (6) Then the TAI will encourage the parties to settle the dispute amicably and offer an opportunity for the parties to meet to discuss such settlement, failing which the parties will be asked to agree on the place of arbitration, language used, and choice of law — if they have not previously done so. (B) three arbitrators: then each party nominates one arbitrator. The two arbitrators choose the third arbitrator who will act as the chairman of the arbitral tribunal. Note: if the parties have not chosen the number of arbitrators, the Act dictates that the tribunal shall be composed of a sole arbitrator. (8) The TAI will then coordinate with the parities to arrange a meeting to: formally appoint the arbitrator(s); settle of issues to be decided; determine procedural and evidentiary issues; and schedule the proceedings. (9) The parties will then, in accordance with the proceedings schedule, submit any relevant documents in support of their claim or defense — usually within one to three months of the scheduling meeting. (10) This will be followed by a formal hearing of evidence, if any — usually within four to six months of the scheduling meeting. (11) The TAI Rules prescribes that the arbitral tribunal must issue the award within 180 days from the day on which the last arbitrator was appointed. However, it should be carefully noted that in practice the TAI usually presents a minutes of meeting template, which includes a waiver of this deadline and grants an open-ended award issuance period to the arbitrator — this is not required and the parties should not agree to it unless they wish to. (12) Once the award is completed, the TAI sends a copy of the award to each party. (13) If a party fails to comply with the award, the other party may petition a competent Thai court to enforce the award within three years from the day that the award is enforceable. Alternatively, if the arbitration was not in compliance with the Act, either party may request that court to vacate the award within three months. It generally takes nine to twenty-four months from filing of the statement of claim to issue of the final award. However, if the case is complicated or, if the respondent is dilatory, the arbitral proceedings may take longer to complete. 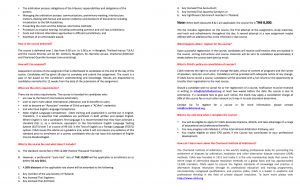 The enforcement of the arbitration award within Thailand, if necessary, may require anywhere from a few months to several years. It is hoped that the reasons for such enforcement delay will be addressed soon. However, it should be noted that Thailand is a signatory to the New York Convention on the Recognition and Enforcement of Foreign Arbitral Awards (1959), which means that any international arbitration award administrated by the TAI in Thailand, is enforceable in any of the more than one hundred fifty countries that have also signed the Convention. This entry was posted in Uncategorized on October 29, 2014 by duensingkippen. When there is a dispute between an employer and an employee in Thailand that cannot be settled informally one of the parties may consider taking the issue to court. By way of the Labor Court Establishment and Procedure Act (1979) (the “Act“), Thailand has established a special Labor Court and procedure to resolve employment-related disputes. B. Wrongful acts between employers and employees in connection with a labor dispute or in connection with the performance of work under an employment agreement. C. Appeals against a decision of a member of the Labor Relations Committee or the Minister of the Interior (where A or B above were first submitted to the Committee or Minister rather than directly to the Labor Court). Unpaid salary for work time completed. It should be noted that if an employer does not pay any such outstanding amount within after seven days of date payment is due, without reasonable cause, interest at the rate 15% will be applicable and compounded every seven days thereafter. Unpaid holiday pay. If the employer terminates the employment contract or the employee resigns, the employer must pay the employee’s unpaid wages for any annual leave due to the employee at the time of employment termination. Payment in lieu of notice. The employer must give the employee notice of the employer’s intention to terminate the contract before or at the time of payment in order for that notice to take legal effect at the following time of payment. However, if the employer wishes the employee to stop working immediately the employer can do so as long as the employer pays the employee’s wages through the end of the notice period mentioned above. Severance Pay. Severance pay is compensation that is paid to an employee who is terminated without legal cause. The amount of compensation depends upon the employee’s duration of employment. Unfair Dismissal Compensation. Apart from the above-mentioned rights, if an employee believes that his termination of employment contract is unfair, he may also request to the Labor Court consider awarding him this additional remedy available under the Act. The Act does not explicitly define what type of termination qualifies as “unfair” but the following decisions by the Labor in cases awarding and denying such additional unfair termination remedy are instructive. a. An employee’s husband was working for other competitive company. b. An employee worked as a technician who needed a professional license to lawfully do his work. His license expired and the employer fired him. The employee was able to prove that many of his colleague’s licenses were also expired; yet only he was terminated. c. An employer’s annual business profit decreased in comparison with previous years (note: the employer was still profitable). The employer then reduced expenses and costs by terminating some of its employees. d. An employee was gambling outside of working hours. The employer’s work regulations stated that the penalty for such would be a decreased of wages, but the employer terminated the employee. e. An employer changed an employee’s employment terms without the employee’s consent. f. An employer was responsible for, or failed to remedy, the employee’s work environment being hostile to the employee. g. An employer terminated an employee because the employee refused to accept less compensation. a. An employee did not pass the employment probation period. b. Termination was pursuant to the retirement required by the employer’s official work regulations. c. An employer was not profitable for several years. The employer took several steps to try to become profitable (e.g., provided for voluntary employee resignations) but such measures were not successful and the employer remained unprofitable. The employer then terminated some employees to save the business. This entry was posted in Uncategorized on October 27, 2014 by duensingkippen. When there is a dispute between an employer and an employee in Thailand that cannot be settled informally one of the parties may consider taking the issue to court. By way of the Labor Court Establishment and Procedure Act (1979) (the “Act“), Thailand has established a special “Labor Court” and procedure to resolve employment-related disputes. wrongful acts between employers and employees in connection with a labor dispute or in connection with the performance of work under an employment agreement. appeals against a decision of a member of the Labor Relations Committee or the Minister of the Interior (where 1 or 2 above were first submitted to such Committee or Minister instead of going directly to the Labor Court). A party who initiates a labor case (the “Plaintiff”), against the other party, files a “Plaint” detailing their grievance to the local Labor Court branch where the work place is located. The Plaint can be filled either in writing or orally. The Labor Court is then required to fix the date and time for a hearing and, without delay, summon the Defendant to appear in the Labor Court on that date. If the Defendant would like to file an Answer to reply to and defend against the Plaint, the Defendant may do so within the time fixed by the Labor Court prior to the hearing date. Prior to the first hearing, and for the purposes of protecting the relationship between the parties, the Labor Court will require the Plaintiff and Defendant to meet with a representative of the Labor Court to discuss a possible amicable settlement of the dispute. If the parties are able to reach such a settlement they will then enter a compromise agreement and withdraw the case. Note: such a compromise agreement would then be fully and virtually “automatically” enforceable by the Labor Court should one party not honor such agreement. However, if the parties cannot settle the dispute, the litigation will continue. In which case, the parties will then submit any relevant evidentiary documents in support of their claims or defenses to the Labor Court. The first hearing of evidence will then proceed. Note: this may be on the same day as the unsuccessful settlement negotiations or it may be at a later date as determined by the Labor Court but once such hearing has begun it may not be adjourned for more than seven days until completed. After all the necessary evidence has been taken, the hearing will be pronounced closed and the Judgment deciding the case will be pronounced within three days from such date. The Act requires that the Judgment be made in writing and specify, in brief, the relevant facts, decisions, and reasons therefor, as found and decided by the Labor Court. It should be noted that the Act provides that that Labor Court is directed to consider an employee’s particular: working conditions; costs of living; personal hardships; wage level; employment rights, and other employment benefits, as compared to a similarly situated employee elsewhere — in making it’s decisions. Either party may appeal the Judgment directly to the Supreme Court of Thailand within fifteen days from the date of the pronouncement of the Judgment. Timing from the date that the Plaint is filed until the Judgment is rendered is generally nine to twenty-four months. However, a complicated case may require significantly more time. And completion of the any appeal will likely take several years. Finally, with regard to costs, it should be noted that the Act exempts all Labor Court cases from any court filing fees. This entry was posted in Uncategorized on October 20, 2014 by duensingkippen. The government appears to agree. Despite the differences between Thailand’s two main political parties, both of them have presented proposals for large scale and comprehensive infrastructure projects. Both parties continue to agree that Thailand needs to invest significant amounts to modernize and improve its infrastructure. In such circumstances it is not uncommon for a government to encourage private sector investment. Such private participation may have several benefits for the government. These may include technical or managerial expertise not available domestically, a larger and more competitive bidding pool for the project and, depending on the type of private participation, project financing. Where the potential private investor is foreign, a significant consideration will be an assessment of the protections afforded to the investment. Internationally, this is usually provided by substantive rights and enforcement provisions in a public-private contract (“PPC”) between the host State and the foreign private party or under any relevant investment treaty (“IT”) or both. The following will briefly explain what types of rights and enforcement provisions are commonly available to foreign investors under these two options and conclude with a brief comment on the current investor-State situation in Thailand. The rights afforded to an investor under a PPC are for the contracting parties to determine and may vary with regard to the type of investment. However, a common concern for foreign investors is that the State may enact or change its law relevant to the investment such that it would diminish the investment’s value. Thus, an example of a substantive right commonly included in the PPC for the investor is a provision, which applies the law of the host State – at the time of the investment – to the investment throughout its duration. This is commonly known as a “freezing clause”. Whereas the investor will need to convince the host State to include investment protection provisions contractually, ITs provide such protections to the investor without such requirement. 3) free-trade agreements (FTA), which although not dealing only with investment protection issues, commonly include such provisions. The 2009 ASEAN-Australia-New Zealand Free-Trade Treaty (AANZFTT) is a good example of an FTA and to which Thailand is a party. 5) the observance of specific contractual undertakings by the host State with the investor (which are sometimes referred to as “umbrella clauses” and which require the host State to honor its undertakings with investors regarding their investment). 3) “ad hoc arbitration under the UNCITRAL Rules”. Submission to the courts of the host State is generally not the preferred choice for the investor. The forum is considered not to be in a “neutral” location and the decision-maker is regarded as not to be “independent” of the allegedly breaching host State. 2) requires all contracting States to immediately enforce the final award without any grounds on which it may analyze and conclude to refuse such enforcement–thereby avoiding the “indignity” of any contracting State being subjected to the scrutiny of another State’s courts. 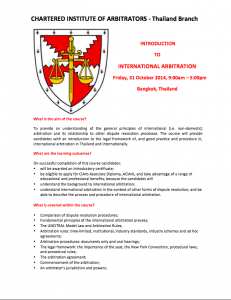 “Institutional arbitration” refers to arbitration under the administration and rules of an arbitration service provider, for example: the International Chamber of Commerce; the International Center for Dispute Resolution; the Singapore International Arbitration Center; or the Thai Arbitration Institute. “Ad hoc arbitration under the UNCITRAL Rules”, refers to arbitration which is not administered by an institution and is therefore “ad hoc” but which is controlled by the United Nations Commission on International Trade Law Arbitration Rules. Both institutional and ad hoc UNCITRAL arbitration are designed for commercial disputes between individual parties without regard to sensitivities of disputes involving National “sovereigns”. They depend on the “1958 New York Convention on the Recognition and Enforcement of Foreign Arbitral Awards”. The New York Convention will only recognize arbitration awards, which are subject to the procedural law and a certain degree of possible involvement of the courts of the State where the arbitration takes place. Such third party State court involvement is the reason why ICSID arbitration is the preferred choice for arbitration involving a State. ICSID arbitration gained acceptance within ITs as they proliferated. However, since States have increasingly come to recognize that their commercial activity does not necessarily implicate their sovereignty, ITs have also become increasingly subject to institutional and ad hoc arbitration. provided that resort to any arbitration rules or for a under sub-paragraphs (a) to (f) shall exclude resort to the other. It should also be noted that an investor may have a claim under either their PPC with the host State or an applicable IT or both. Any such claims would be properly addressed only under the applicable PPC or IT dispute resolution provision. Thailand can properly point to several successful foreign investor-State projects in recent years. However, in December 2003 the Civil Court of Thailand upheld a 6.2 billion Thai Baht international arbitration award against the Expressway and Rapid Transit Authority of Thailand (ETA) (a Thai government agency) in favor of Bangkok Expressway, PLC (a Thai-foreign joint-venture company) regarding their PPC to construction of the Bang Na-Chonburi elevated expressway and a concession to thereafter operate it. Following this, on 27 January 2004, the Thai Cabinet passed a resolution prohibiting the inclusion of arbitration in PPC contracts involving concessions without prior approval by the Cabinet. Then, on 1 July 2009, Walter Bau AG (a foreign contractor) was awarded approximately 30 million euros in an international arbitration regarding the construction of the Don Muang tollway. And – although this arbitration was brought under an IT – on 28 July 2009 the Thai Cabinet issued a resolution extending the 2004 resolution to all PPCs. Both cabinet resolutions, as well as, other instances where Thai courts have refused to enforce international arbitration awards based on interpretations, which are not in keeping with international norms, have caused concern to the foreign business community in Thailand. Furthermore, although Thailand signed the Washington Convention in 1985, it still has not ratified it. Undeniably, these issues must be considered in the course of any potential foreign investor’s contemplation of contracting with the State in Thailand. 2) all PPC’s involving concessions. Thus, any potential investor should consider PPC contractual provisions with the Thai State, including arbitration as the means to resolve any dispute. And any applicable IT – which may still achieve what may not be obtainable by way of a negotiated PPC. Furthermore, with little exception, the current dominant global and regional international trend is to favor protection and enforcement of rights between investors and State parties. Thailand has always been and continues to be a responsible and active member of the global economic community. It is anticipated that Thailand will continue its path towards harmonization with internationally accepted foreign investor–State practices. This entry was posted in Uncategorized on June 4, 2014 by duensingkippen. 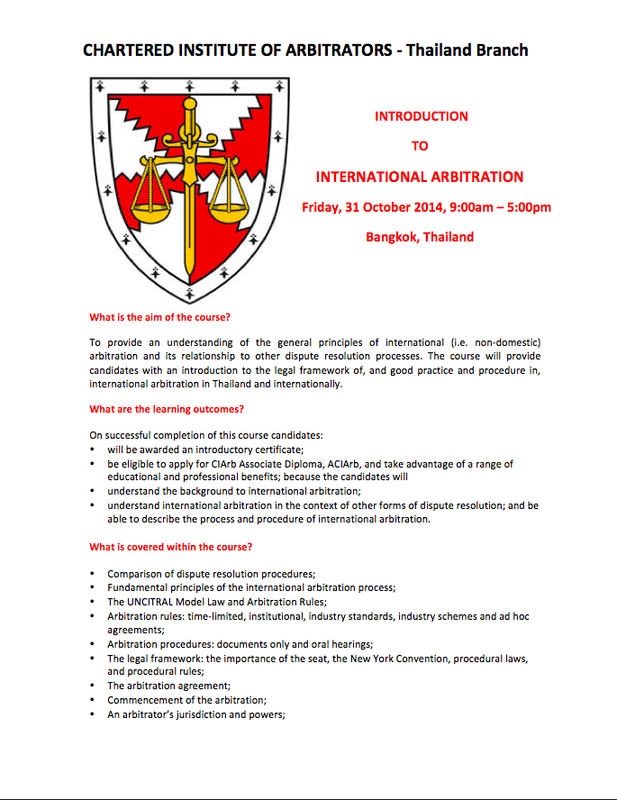 The Chartered Institute of Arbitrators will be offering a one day course and certification in international commercial arbitration this (2014) year in Bangkok, Thailand. It has been eight years since the last time this was offered in Thailand and the fee for qualified professionals and early registration – for the same internationally recognised course and certification provided elsewhere -cannot be beat. This entry was posted in Uncategorized on May 13, 2014 by duensingkippen. Under Article 1(3) of the New York Convention, ratifying states have the option to limit the applicability of the New York Convention. The first of the two limitations refer to a reciprocal approach by states declaring to only enforce awards made in a country that is also a contracting state of the New York Convention. Secondly, a contracting state might declare to only apply the New York Convention to “commercial” relationships, whereby “commercial” shall be interpreted in accordance with the laws of such state. The New York Convention outlines the requirements for (i) the enforceability of an arbitration agreement, (ii) the conditions of recognition and enforcement of an arbitration award and (iii) the grounds for a refusal of the recognition and enforcement of an arbitration award. Article II of the New York Convention makes it clear that a fundamental requirement for the enforceability of the arbitration agreement is the need for such an agreement to exist in writing. The term “agreement in writing” has its legal definition in Article II (2) of the New York Convention “as to “include an arbitral clause in a contract or an arbitration agreement, signed by the parties or contained in an exchange of letters and telegrams”. It must be noted that the “Model Law on International Commercial Arbitration” (“Model Law”) that has been adopted by many states which are signatories of the New York Convention provides a much broader interpretation of the “writing” requirement taking into account newer modes of communication. Further conditions outlined in Article II (1) New York Convention are a “defined legal relationship” and the “arbitrability” of the dispute. The New York Convention further outlines the practical requirements for a recognition and enforcement of the arbitral award in its Article IV. Such requirements are the duty to provide a “duly authenticated original award or a duly certified copy thereof “and the original arbitration agreement or a duly certified copy thereof. 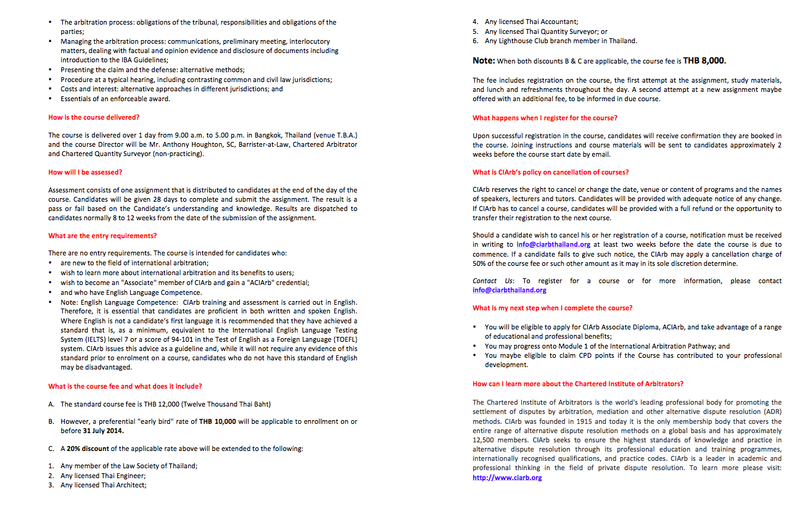 Further translation requirements are stated if the award is in a different language from the official language in the country of recognition and enforcement. Several grounds for refusal of the recognition and enforcement of an arbitration award are listed in Article V of the New York Convention. It should be noted that the grounds outlined in the New York Convention are exhaustive. No other grounds for refusal of recognition and enforcement are permitted. Further, it is important to understand that the grounds for a refusal do not necessarily lead to an automatic refused enforcement. The New York Convention uses the term “may” and provide the enforcing courts with the option to recognize or enforce the award even if the outlined grounds are applicable. This entry was posted in Uncategorized on April 26, 2014 by duensingkippen. The relevance of the New York Convention is demonstrated by the fact that a majority of countries have adopted it. By 2013, 149 countries have adopted the New York Convention. The broad applicability of the New York Convention to the recognition and enforcement of arbitral awards made in another state makes it the most recognized way of settling international disputes. Along with the 1965 “Convention on the Settlement of Investment Disputes between States and Nationals of Other States” (“Washington Convention”), that intends to protect investors in a foreign state, the New York Convention is one of the cornerstones of international arbitration. Firstly, Article II (3) of the New York Convention regulates the enforceability of the arbitration agreement. A court of a contracting state is required, if so requested by one party, to refer a dispute to arbitration if there is an arbitration agreement between the disputing parties in place. Therefore, the dispute is taken out of the jurisdiction of the state courts and resolved via arbitration. Secondly, the legal relevance of the New York Convention can be observed when it comes to the “recognition” and “enforcement” of international arbitration awards. An international arbitration award must be treated as binding in the territory of the state applying the convention. The enforcement of the award will take place in accordance with the rules and procedures of the enforcing state. A review of the “merits” of the award is not permitted.